Apparently, Instagramming your food has greater consequences than just a cold meal. 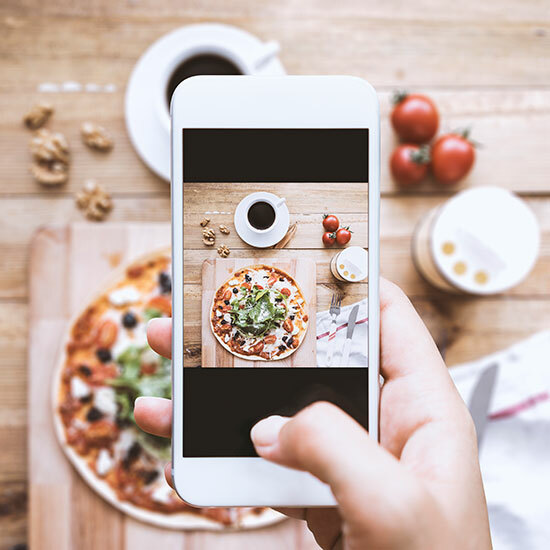 A recent study found that millenials concerned with the visual presentation of their food on social media are increasing the United Kingdom's food waste production. Research conducted by Sainsbury's, a UK supermarket company, found that consumers aged 18-34 are driven by a "live to eat" attitude that associates food with pleasure over necessity. That means they plan less and spend more on meals. Those two things taken together also lead to higher food waste. That logic plays out this way: Imagine a young person gets a hankering for a snack, but their fridge is relatively bare—probably because they're too busy in #FOMO avoidance mode. Instead of opening some boring (and sooo unphotogenic) can of soup like their grandparents might, they peruse online and settle on making something like this smoked salmon smørrebrød. It's got 12 ingredients, including things like fresh fennel and dill, which could easily go bad before getting completely used. As a result, half a fennel bulb and a lot of dill end up in the trash. In contrast, older generations tend to have an "eat to live" attitude, have experience with post-war rationing and spend less on food. The Guardian reported that seven of the UK's 15 million tons of food waste per year come from individual households as opposed to restaurants or grocery stores. And almost 40 percent of people over 65 claim they never waste food, while only 17 percent of people under 35 said the same. The silver lining here is that this is an issue that many countries have seized on and there are projects in the works all over the world to fight it. But still, it's something to think about next time you're crafting a food porny acai bowl.